This unit consists of 36 weeks of language arts printables designed to introduce, practice and review essential skills. 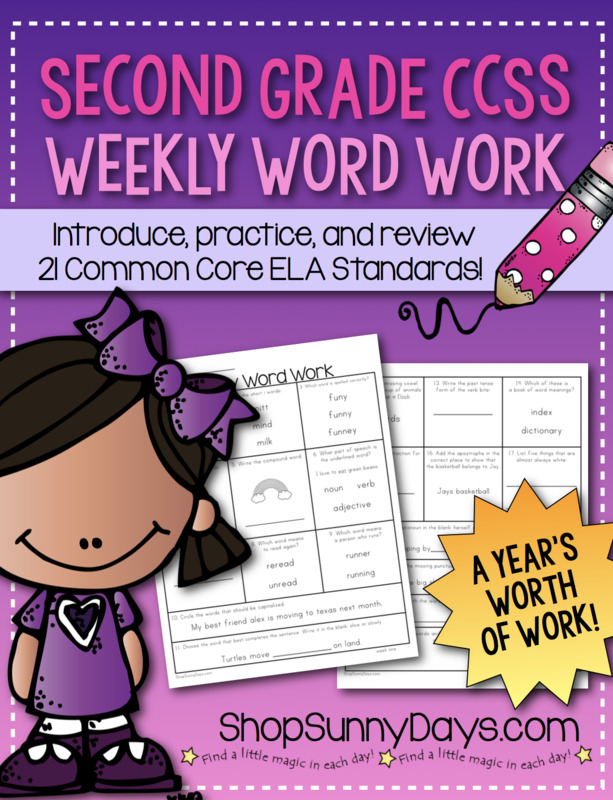 Every one of the 21 weekly questions are directly aligned to Common Core State Standards for second grade, however even if you are not following Common Core, the skills presented are those we routinely teach our second graders. There are no markings on the pages indicating the CCSS, but there is a reference page for teachers to see how each skill aligns if that's helpful to you. Each week is presented in the exact same format providing scaffolded repetition to ensure that your students master the skills and retain what they’ve learned over the course of a year.